CPYU.org (Center for Parents and Youth Understanding) has been serving parents, teens, families, churches and youth ministries for over 25 years. They bring a wealth of knowledge and a willingness to follow youth culture into places others don’t want to go. They ask the tough questions and find practical solutions (preventative and redemptive). Their latest initiative has been extremely helpful to families as they begin to navigate a new and unexplored by parents world. 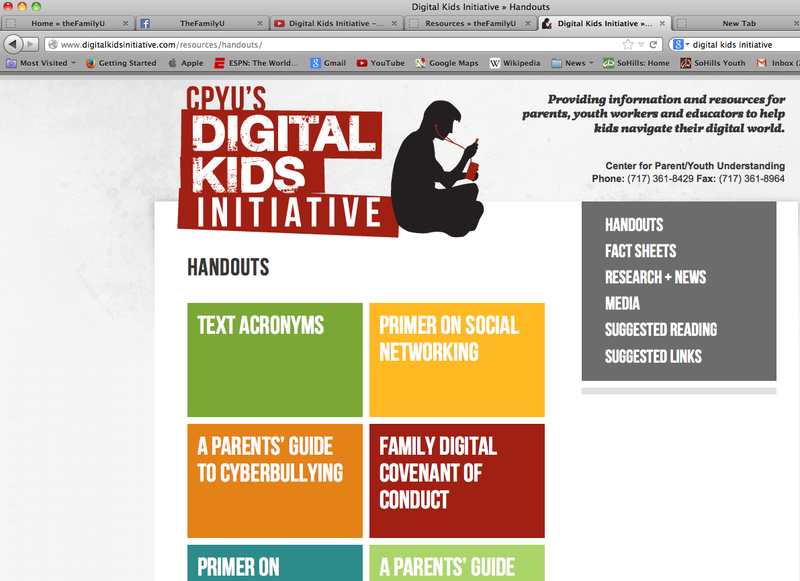 It’s called www.digitalinitiativekids.com and serves up a helpful dose of free resources for parents and teens to work through. A Parents Guide to Understanding Social Media: Helping Your Teenager Navigate Life Online: A great book written by youth workers with a spiritual perspective. Oestreicher and McLane are drawing conclusions based on empirical data and spiritual development of teens. This book will help you understand the drive behind a teens “need to be connected” and give you some helpful guidelines for communication, guidelines for usage, and help if you’ve already taken a wrong turn. 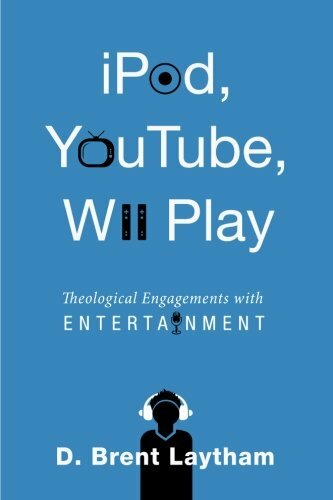 iPod, YouTube, Wii Play: Theological Engagements with Entertainment: Brent Laythem’s book pushes Christians to think theologically about our human passion to be entertained as it relates to the popular culture that entertains us. Individual chapters weave together analyses of entertainment forms, formats, technologies, trends, contents, and audiences to display entertainment as a multifaceted formational ecology. 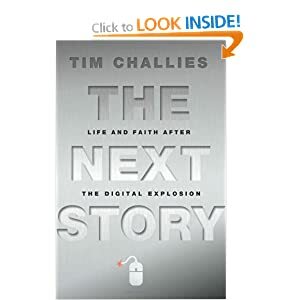 Check out Tim Challies book or blog for a great analysis of your family’s next steps and an assessment of how we got here. Nicholas Carr’s The Shallows takes a deeper look into what our behavior with phone, smartphones, pads, and computers are molding our brain to become.